Explore a world where magic and nature live in a quiet harmony in Nebias, France. For those who are extra sensitive and enjoy the subtle aspects of nature Nebias is paradise. It is a small park of only a few square kilometers, however the trails wind in such a fashion that one could walk all day in the holy, natural sanctuary of a sacred land. Like so many places in “The Lands Of The Cathors” there is a magical and powerful energy coming out of the land and those who are extra sensitive to perceiving energies of the land, that of Mary Magdalene, pagan sites or extraterrestrials the southern France region is particularly special. Nebias is a bit different from the other ancient sacred sites as it seems to be purely a place where the land of nature, Angels and wee spirits of fairy like realms exist. 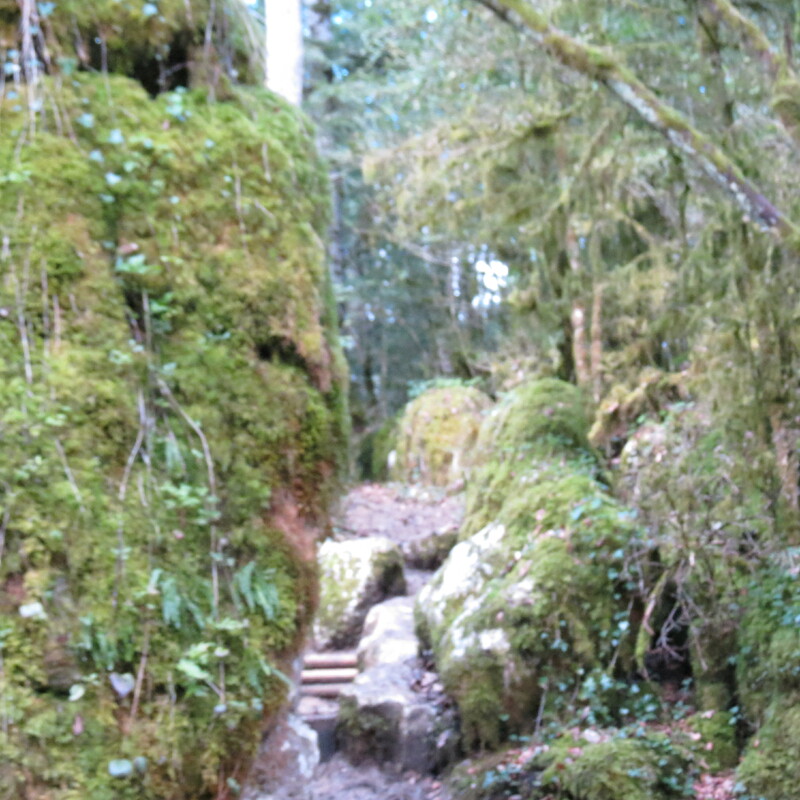 As hikers quietly stroll through the winding pathways of limestone rocks guiding the adventurer on narrow curved pathways to opened green space of tree, rock and the greenest mosses where the extra sensitive feels the presence of something different. The energetic presence may be a 6 foot limestone rock or a cluster of trees but went touching these parts of nature the recipient feels a lighter presence inside of them as if a vibration from the earth is coming out and is within them. Some say it feels like a charge of nature or a presence of an angel coming into them as the vibrations generally feel much lighter than what the common person is emanating inside of themselves. Each turn in this maze of rocks, trees, grasses and small hills leads to new vibrational experience. Sometimes it feels as if people are walking through a doorway into something of a lighter space of air commonly known as a dimensional door, some rocks feel as if they are healing parts of people’s bodies, in many places feel as if there are the presence of Angels or fairies surrounding the human visitors in this multi-reality realm. Nebias seems to be a cross roads where other dimensions take a light visit into our normal world and those who can perceive some of these vibrations receive the gift of maybe becoming a little more evolved in their energetic body, in other words they feel a lighter presence inside themselves. 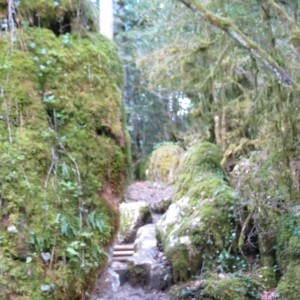 It is a walk into the magical side in the foothills of the Pyrenees mountains of southern France. I recommend a compass or a guide on your first journey as is easy to get lost in such a maze of trails even though there are yellow markers guiding the way. Somehow in the tour of all the enlightening experiences of trees, mosses and feelings of the presence of lighter beings in humans it is easy to become a little high and sometimes at places slightly disoriented from the experience. Nebias stimulates us in ways most of us have never encountered before as it is a crossing of dimensional paths of positive spirits of many varieties. Whether or not you have the ability to perceive angels or fairies be ready to receive a transformative experience.